Fully adjustable monitor arm for optimum viewing comfort. 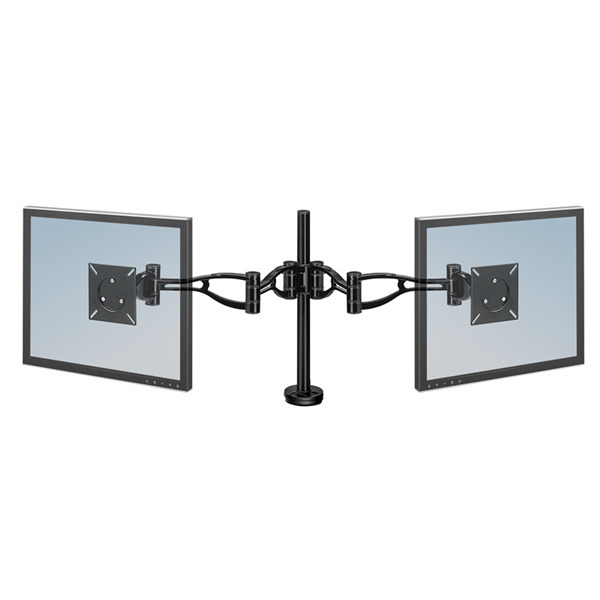 Elevates LCD monitors from 89 mm to 419 mm above the desk. Tilts up or down +/- 37° and freely swings left or right. 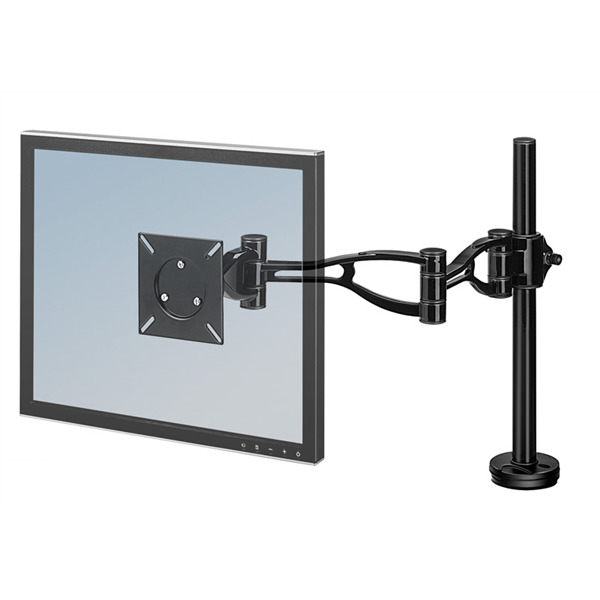 Easy to mount – clamp attaches to desktop surfaces up to 64 mm thick or through grommet hole - No tools required. Fully adjustable dual monitor arm for optimum viewing comfort.